This is an authentic Chrysler O.E. Style Right-Hand Lug Nut. Chrysler had a unique way of fastening wheels in the 1960s and 70s. Ultimately their unique lug setup led to countless broken wheel studs and stripped lug nuts. The driver side had left-hand threads and the passenger side had right-hand threads, sometimes causing confusion when service was called for. 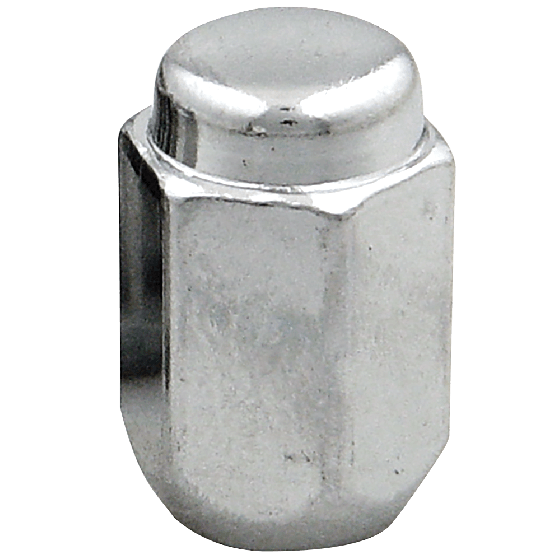 Coker Tire Company offers both sides, and these authentic Chrysler Lug Nuts are for the passenger (Right) side, so they are right-hand thread, and threaded to fit 1/2-inch Studs. 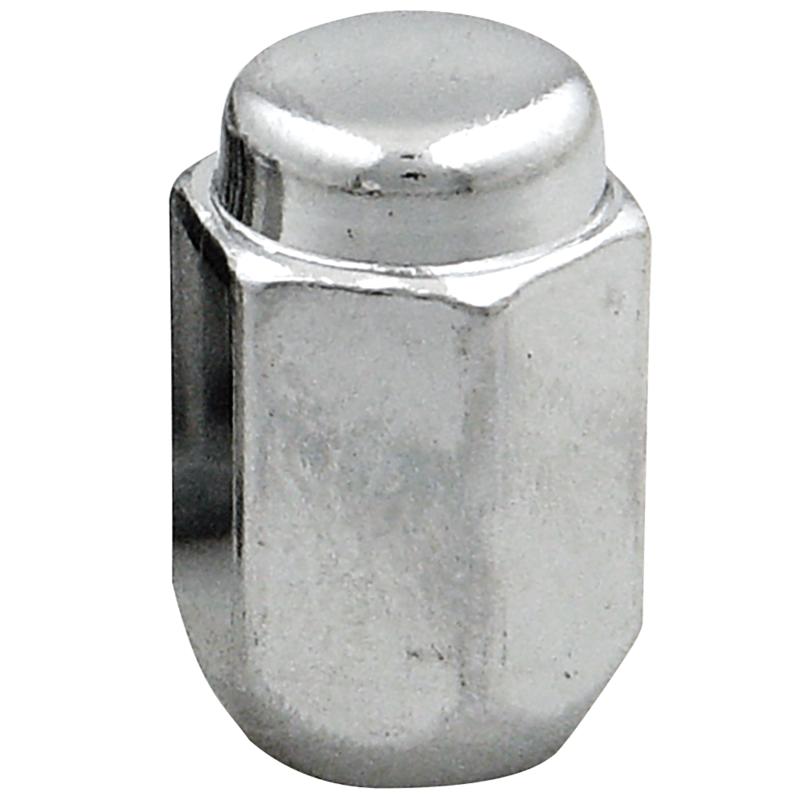 These lug nuts feature a cone style seat and fit a 13/16 inch socket (sold separately). These MOPAR Lug Nuts are sold individually and priced Per Each. Speak to a Tire Expert for more information about your antique vehicle’s wheel and tire fitment needs. We may need a bit more information to assist you with your question. Please contact us at 1-800-251-6336, or support@coker.com. Are these lug nuts chrome plated? Yes, these lug nuts are chrome plated.